answering your iPhone while being charged can be quite an inconvenience and impossible if its docked. unless you have a Bluetooth headset paired with it. 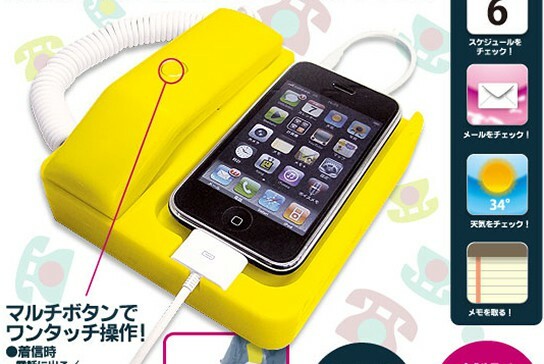 understanding this, a Japanese manufacturer came up with a novel idea: an iPhone dock that comes with a receiver, known as the PhoneXPhone. yea, receiver. you know those fixed line phone receiver? designed to look like a typical fixed line phone, the Hashy Top-In PhoneXPhone spots a receiver for answering calls which connects to the base via the curly telephone cord. while your iPhone is in the cradle, you can still use the phone’s functions such as text messaging and other apps. the iPhone function through the receiver via a 3.5mm jack connected to the PhoneXPhone. when using the PhoneXPhone, your iPhone touchscreen functions as the keypad on a fixed line phone. how many fixed line phone can claim to have a capacitive touchscreen and access to the Address Book? the PhoneXPhone is available now and retails at ¥2,000 (about U$24). calling out all Angry Birds fans. not sure if you’re a fan? here’s an indicative tell-tale sign: if you are crazy enough to get the Angry Birds costume for Halloween, then you’re a fan. 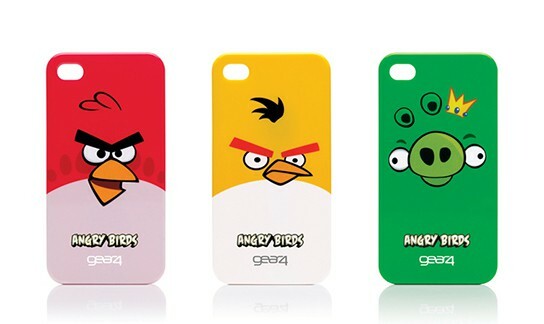 nah… in any case, Gear4 rolls out the Angry Birds themed cases for both iPhone 4 and iPod Touch (4th Gen). there are three designs for you to chose from, namely, the red bird, yellow bird and pig king. 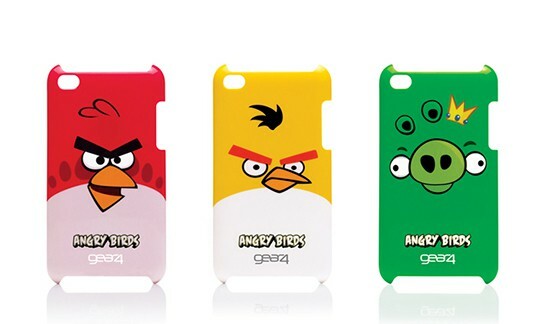 perhaps, Gear4 figured that the Angry Birds fan base is huge enough to justify for its own ‘brand’ of cover, and even if there wasn’t, these cute looking, brightly hued cases might even attract general non-fans. the cases, made out of hard plastic, are touted to be “super slim design” and snaps on to your iPhone 4 and iPod Touch and as usual, you will have access to all the iPhone’s (and iPod Touch) ports and buttons. strange that an angry bird can be so adorable. angrily cute or cute anger? 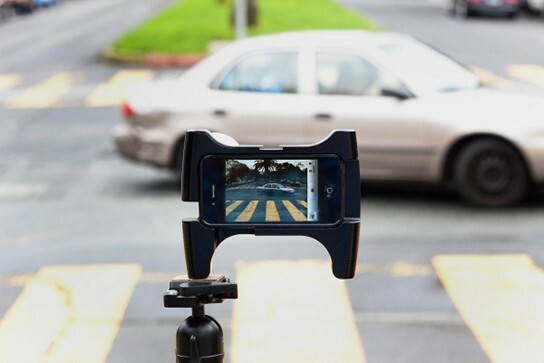 if you’re feeling aspired by the iPhone 4 HD videoing capability but the phone does not weigh up to be a real handheld rig, then this might be just for you. 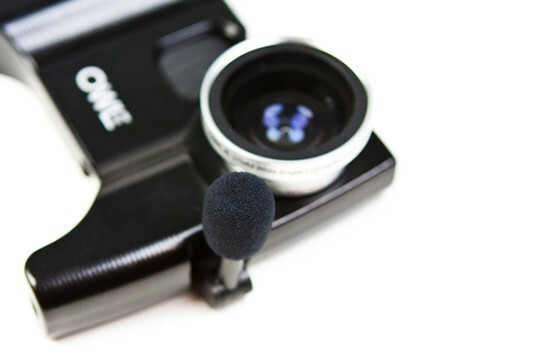 OWLE is basically an encasement custom for iPhone 4 dedicated for shooting videos. the weighty feel and the dual grip on the OWLE, provides aspiring videographer a more stable filming experience. the OWLE is also available for 3GS. 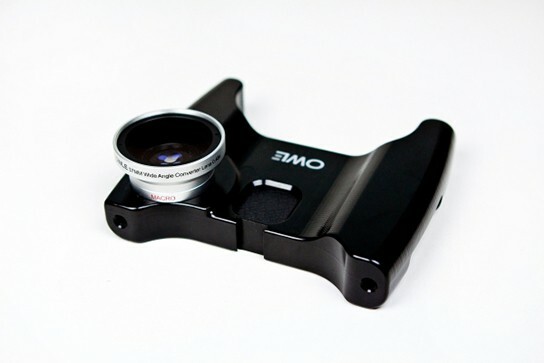 the OWLE is machined out of a single block of aluminum, anodized and features a 37mm 0.45x wide-angle lens with macro optics. it also comes with an adjustable, high sensitivity VeriCorder mic – which is like a miniature version of the big recording mic. other features include ability to accommodate third-party lenses (37mm) and filters (49mm), cold shoe accessory mount, four tripod sockets in each corner and dual grips for added stability when doing your filming. so aspiring film makers, dig this. now you can go about filming HD quality film with your iPhone 4 and capture moments that might be just be the next blockbuster movie. 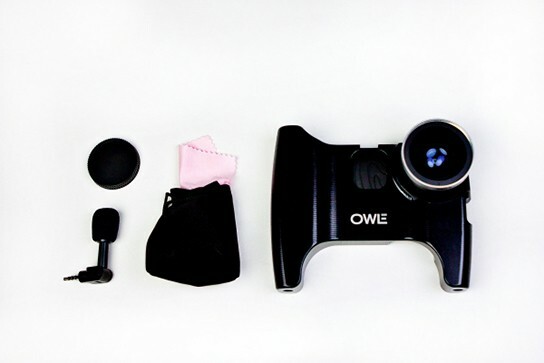 the OWLE measures 4.75 x 6 x 1.75 inches, hence with it stalled, your iPhone 4-turn-HD video rig will not be that pocket friendly anymore but then again, it is still quite compact for a video rig. isn’t it? so perhaps we might see some HD movie filmed entirely with iPhone 4? 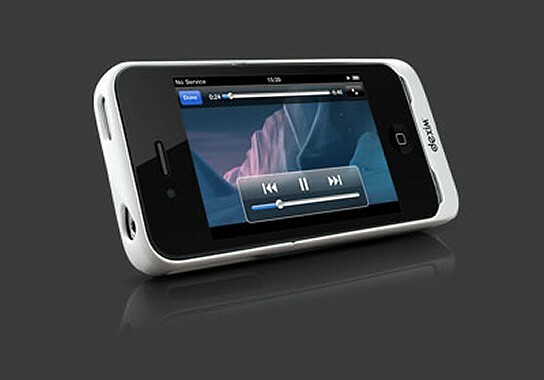 the OWLE for iPhone 4 and 3GS retails at $169.00 and $159.00 respectively and is available at Photojojo Store. if you are those who likes to prop your phone for video viewing or whatever, then the Mobile Tail from Studiooo Factory might a fun way to do so. as the name suggest, this nifty gadget does look like a tail. we wouldn’t know the tail was modeled after which animal but the more we look at it, we find it looks rather rat-ish. designed by Sangwoo Park & Jongwon Park, the Mobile Tail measures 125 mm and is made of liquid silicone rubber which is heat resistant, odorless and non-toxic. though its non-toxic, please refrain from putting this in your mouth. for the sake of hygiene. animal lovers will be glad to know that portion of the profits from this $6.50 item will be donated to an animal preservation group. an ideal sock stuffer for this coming Christmas. simple and affordable. what other reasons do you need to grab one of these? if animal’s tail isn’t your cup of tea, perhaps a miniature toilet plunger phone stand might appeal to you. wireless charging is convenient and eliminates the constant frustration with wires, especially if you have multiple devices to charge at the same time. however, current option for wireless charging requires the device to be charged to don special case which may not as ideal. 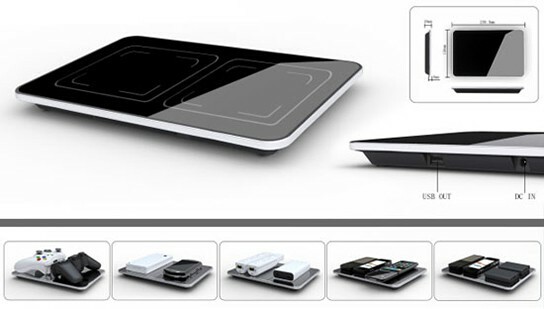 things are looking to change with the ElectroHub wireless charging station, set to debut at the CES 2011. 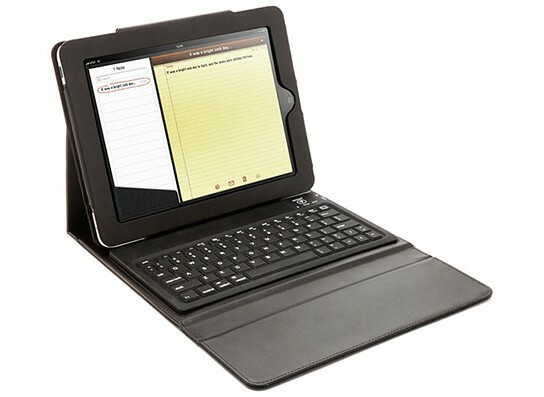 ElectroHub is designed to work with virtually all electronic devices. unlike the Powermat, it doesn’t require any special casing for your device but instead, it provides special ElectroHub batteries in form of AA or AAA sizes. to turn your device into ElectroHub-complaint, all you have to do is to replace the original battery of your device with the ElectroHub batteries, place your device on top of the ElectroHub and starts charging away. 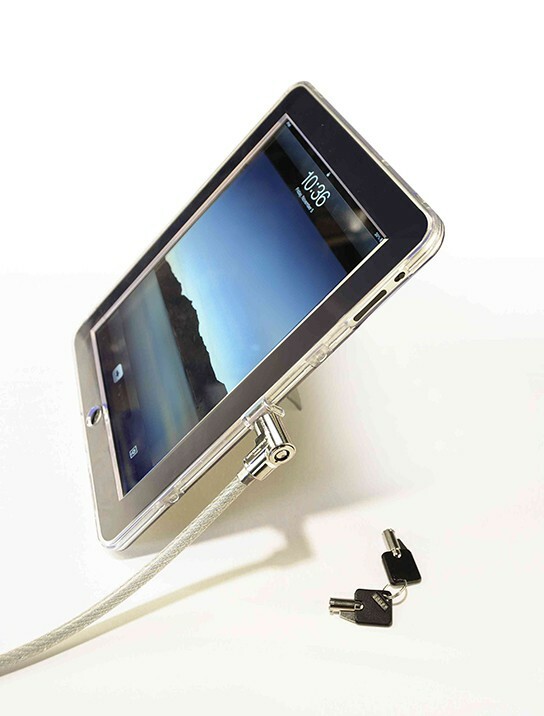 the charging station measures 233 x 155 x 20mm, is capable of charging up to six devices at a time. 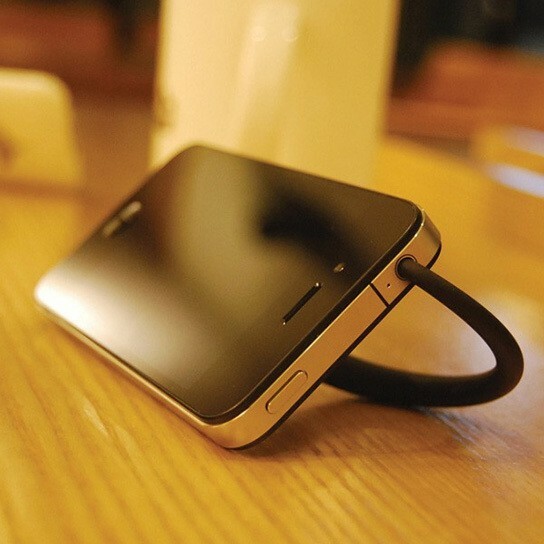 in cases where devices doesn’t have replaceable batteries, user can get a special protective case that converts the charging effect to the device internal battery, much like what the Powermat does. the ElectroHub will cost $39 which includes one set of ElectroHub batteries, and additional battery sets can be purchased separately at $10 each. 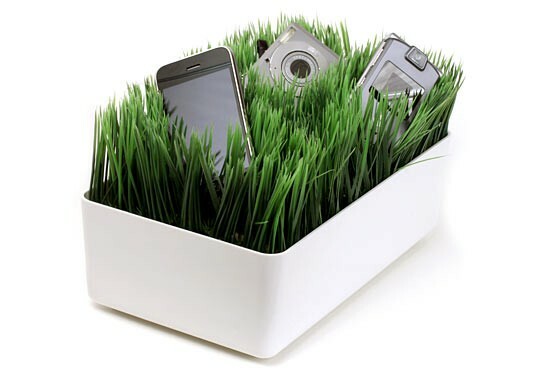 the ElectroHub is expected to be available first quarter of 2011.
we have been lamenting about the poor battery life of iPhone, but then we have a solution by the way of portable chargers. but what if you portable chargers went out of juice? duh! not good at all. time to extract some power from Mother Nature in the form of wind. 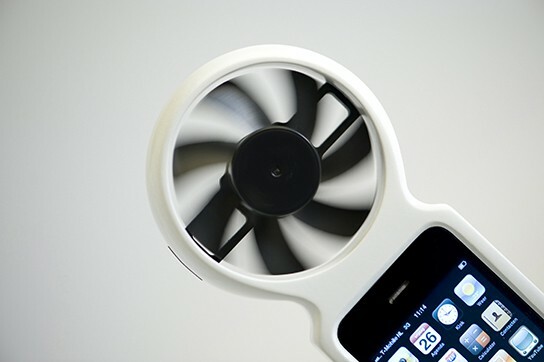 well, the poor battery life of iPhone prompted Tjeerd Veenhoven to design the iFan – no, it is not a fan powered by iPhone but rather, it is the fan that’s going to juice up your iPhone. basically, iFan is a modified PC fan molded into a rubber iPhone case and Tjeerd said that it took him six hours to charge up his iPhone. sounds a little too long perhaps, but then again its free power and readily available… well almost. 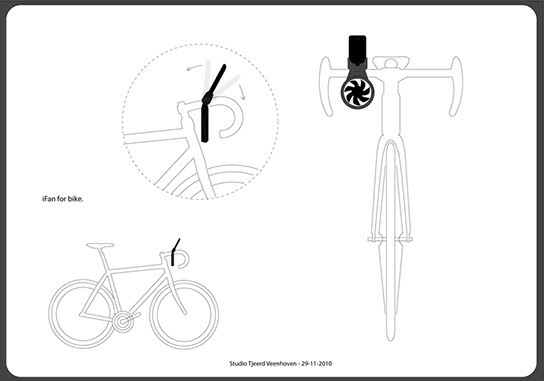 Tjeerd has plan to redesign the fan blades to make it more efficient in catching the wind but in the meantime, Tjeerd has something up his sleeves… an iFan for bicycle. 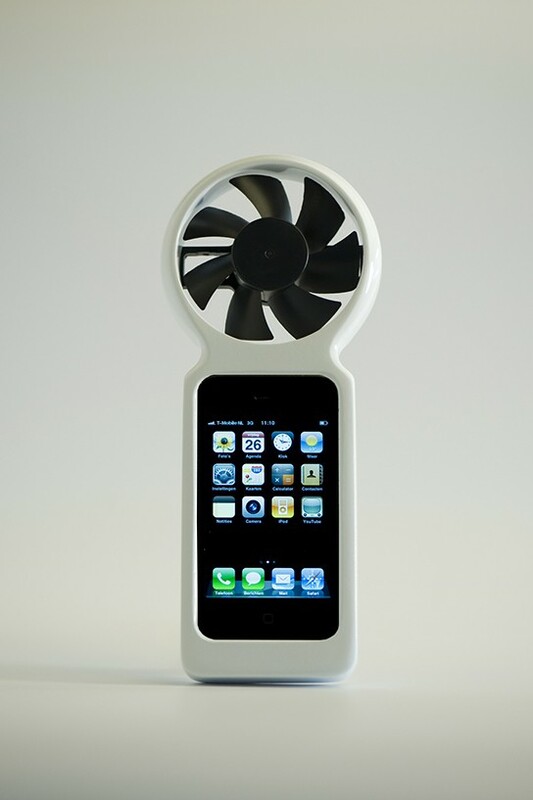 sounds cool, at least you don’t need to be running around holding up your iPhone with the iFan to get it charged up. you can just mount it on the bicycle and cycle for six hours… maybe not. i guess its not for a full charge kind of thing, just perhaps a boost to the depleting power that will be enough for you to make the last call for help to save your aching legs. every iPhone 4 users want to be able to use the phone all day long, however the poor battery life makes this wish almost impossible. the extend of its poor battery performance can be seen by the number of portable chargers for iPhone in the market, and a growing trend is brewing: a charger doubling up as a protective case (or is it the other way round?). charging and syncing of your iPhone can still be achieved via the use of the included micro-USB cable. the Super-Juice Power Case is also a tough case with a built-in kickstand for handsfree viewing of video on your desk or wherever you fancy – as long as its a flat surface. 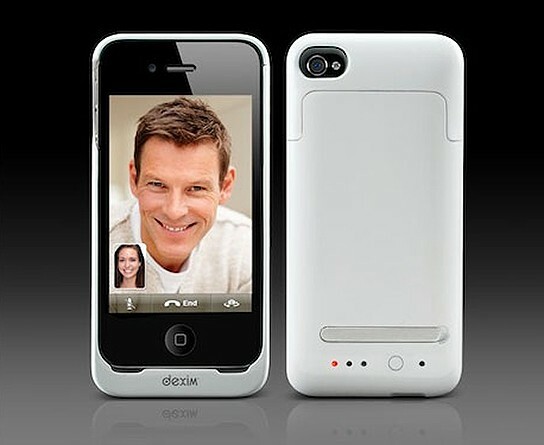 the Dexim Super-Juice Power Case comes in white and retails at $69.90, which is $30 cheaper than the Mophie item. there’s indication on how much bulk the case would add to your slim iPhone 4, though.